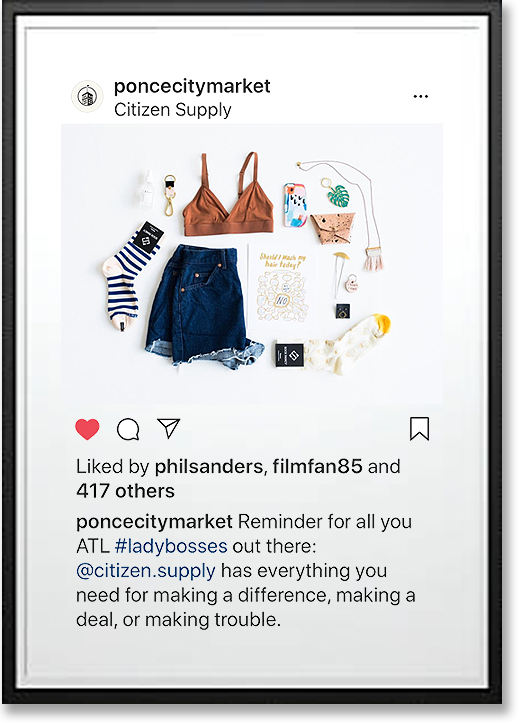 Since opening in 2014, Ponce City Market has become Atlanta's favorite live/work/play destination. 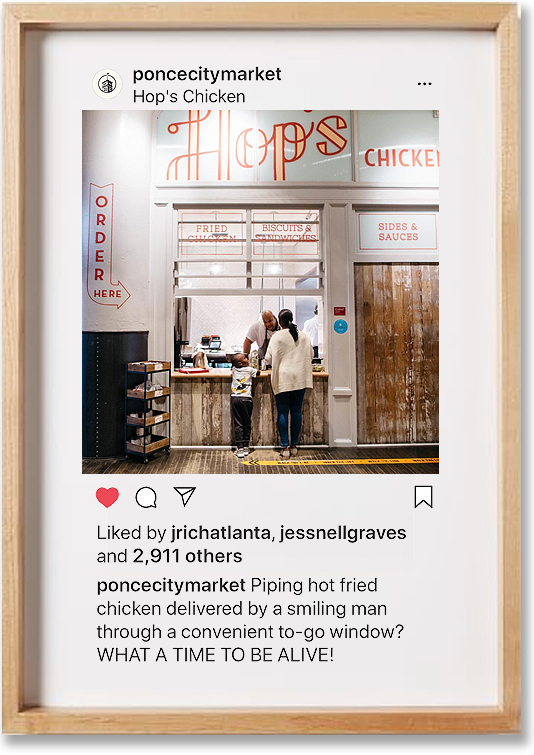 Starting in 2016, Ponce City Market contracted me to craft copy for their Instagram posts. The language had to be original, fun, & aligned with the brand's voice. I partnered with my friends at Campfire Social. They took the lead on photography & film while I focused on captions. My goal was to bring a lot of variety to the feed—emojis, puns, historical references, rhymes, decorative type, pop culture, and more. 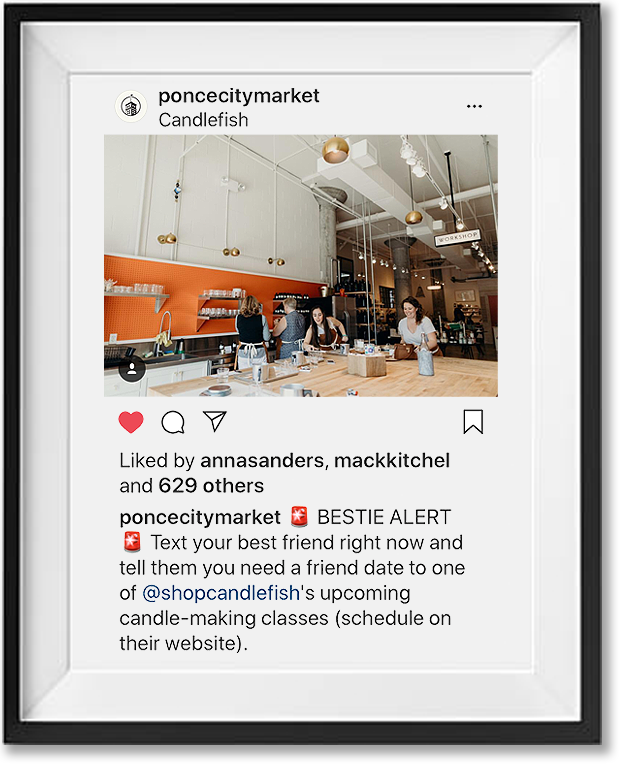 After about 18 months of working with the Ponce City Market marketing team + Campfire, PCM's Instagram following had grown from 67,000 to 125,000 (+86% 📈).